I’ve been carrying the Olympics around in my pocket the past few days. I’ve regularly checked Snapchat to see what Serena Williams is up to and among other competitions, I watched women’s soccer live. 2016 is undoubtedly the Olympics’ biggest year for mobile, as opposed to 2012 which was defined as the Olympics’ rise of social media. Thanks to the mobile Internet, the 2016 Rio Olympics is estimated to be the most watched Olympics in history. According to Appnexus, there will be 33.9 million social media followers on multiple devices, resulting in 2 billion impressions across Facebook, Instagram, and Twitter. 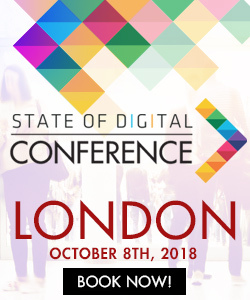 State of Digital Posted two telling blogs about our interests as Summer Olympics viewers – fan engagement with the athletes. Our connection to the athletes has driven media coverage of the athletes’ personal lives, our search queries, and social media interests. Social media had the biggest impact on the 2012 Olympics but increased mobile penetration worldwide and the rise of various apps has made the 2016 Olympics the year of second screen takeover for direct viewing, competition updates, and of course, our connection to the athletes. This blog looks at some major developments that are changing how we participate in the Olympics, which ultimately says more about the way we interact with all major domestic and world events. Not only are we interacting with the athletes but we are interacting with each other and advertisers from our phones. 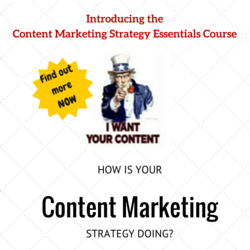 2012 Summer Olympics: What role did digital play? As just mentioned, State of Digital wrote two interconnected posts about our engagement with the Olympics in 2012 using social media and search engines. One post by Bas focused on an infographic prepared by the Olympics organization that pointed to increased TV viewers (up from 3.9 to 4.3 billion viewers from 2004 to 2008) but mainly on the impact of social media, which at the time was limited to Twitter and Facebook. The infographic outlined the importance of athletes’ real time text chats with fans, sharing competition results, and the growth of athlete’ social media followers. For the first time, we could interact with athletes in real time on a completely different level. During the 2008, the Olympics didn’t even have social integration with Facebook and Twitter but by 2012 the organization had created OLYMPIC ATHLETES HUB to encourage interaction among fans and athletes. This official integration increased social media interactions that existed in 2008 but were not at all prominent. James Murrary wrote about human stories driving searches during the Olympics, analyzing how the athletes’ personal lives and stories trump their athletic achievements in the eyes of your average search engine user. What Murrary concluded, still holds true today – the Olympic games peak our interest in athletes but other events (and interests beyond their athletic abilities) tend to drive our searches related to athletes. In addition to social media, search engines helped and continue to help us answer the questions we are dying to know about athletes’ personal lives and stay connected to the games. Four years later, as the Rio games just kicked off, there have been incredible developments in our digital world that are further changing just how connected we are to the games and athletes. Many of the platforms we will use over the next few weeks existed in 2012 but they hadn’t quite blown up yet. 2016 Summer Olympics: How is mobile changing how we experience the Olympics? More than half of the world’s Internet comes from smartphones and tablets, which as we know is only growing. Our mobile growth across our global community has impacted every aspect of our lives and in particular how we experience major events together. Social media and our phones are driving our interactions with the 2016 games to connect us to athletes in the most intimate way we can without being there and personally knowing these people. In 2012, Twitter and Facebook were our big ways of connecting with athletes and the games. They still remain prominent methods for Olympic coverage but Snapchat and Instagram have taken over as other ways to connect to the athletes and games. The use of hashtags across multiple social networking sites has also made our interactions and following our favorite (or trending) topics more easy. These days, we follow certain accounts or subscribe to feeds, but we also simply interact with one another through hashtags. Facebook: Today Facebook still serves as a great way for friends and community members to interact on all sorts of topics but it lacks the focus on real time interaction. 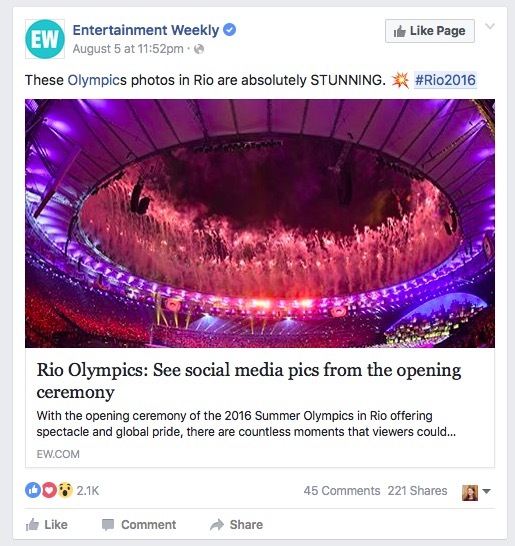 With the development of the Facebook newsfeed, both posts, shares, and ads cover news updates on the games and stories about that athletes. Facebook wouldn’t be my first place to interact with athletes, as it may have been in 2012, but public figure pages still draw considerable fan attention. Twitter: Aside from the new rule on links with the character limit, and a change in algorithms impacting our feeds, Twitter is generally the same from a user perspective. People, including myself, love following reactions and interacting during athletic matches or any major event for that matter. 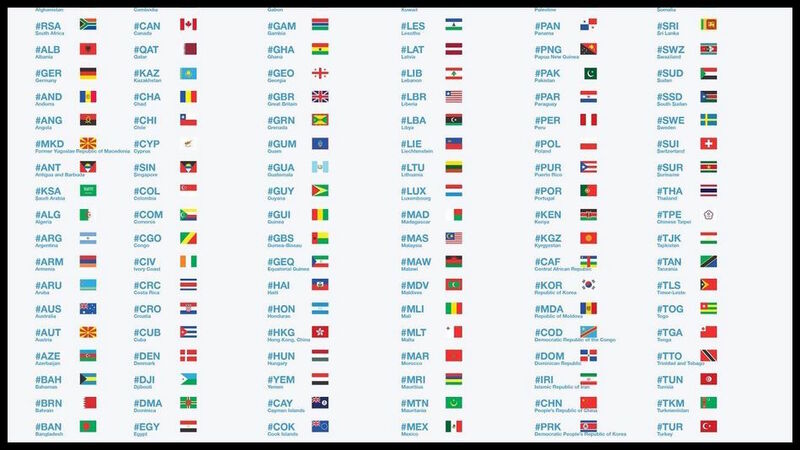 Specifically for the Olympics, Twitter developed a bunch of new emojis to help us save on characters and show our support for our teams. 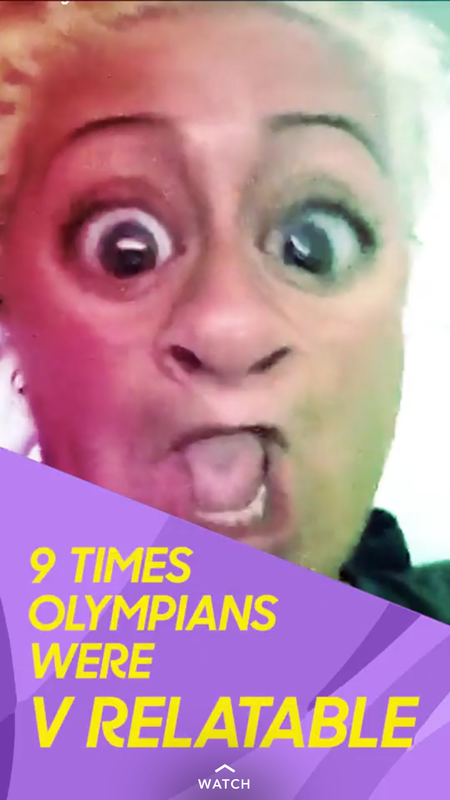 Snapchat: Since the last Olympics, Snapchat has developed from a picture and video sharing app to a platform for public figures to connect with fans, advertisers to reach their audience, various media outlets to put together feeds, and global communities to tune into posts based on location and events. 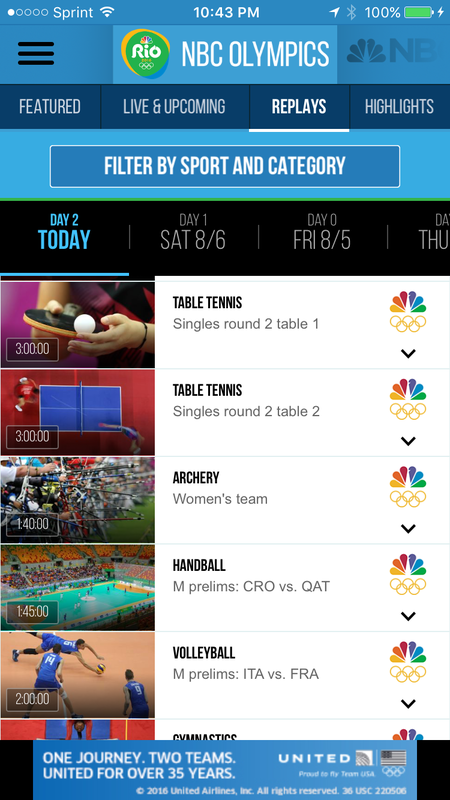 NBC, official broadcaster of the Olympic games, teamed up with Snapchat to provide live feeds. Athletes are doing Q and A’s on Snapchat, and generally adding interesting and funny posts to their stories for the world to see. When these posts appear in our feed next to our friends’ stories, this takes our fan athletes engagement to a much more intimate level that excites us and makes us feel like we know those representing our countries. Taking the example below, Snapchat is addressing what fans want to see and how we want to connect with athletes. Snapchat is also, as it regularly does for major events, welcoming fans to post their videos to feeds like the Rio challenge, requiring them to do things around Rio like pose near famous monuments. Instagram: Instagram offers us a way to search for hashtags relating to the games but more importantly ways to learn more about the personal lives of the athletes. After all, this is what interests us the most. 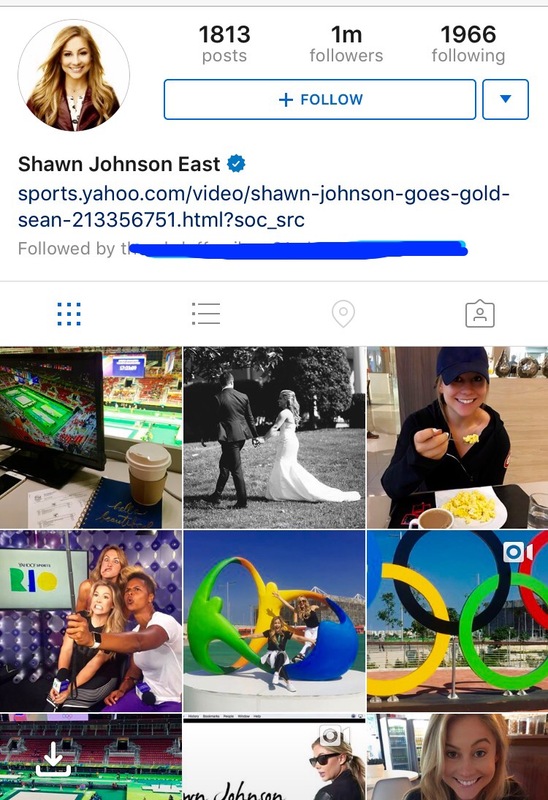 Take for instance, Olympic gold medalist Shawn Johnson’s posts from the games and a throwback to her wedding and how much she misses her husband. Despite not competing, fans still care. Looking back at Jame Murray’s research on how users in UK searched for Jessica Ennis when she won gold, this is exactly what Instagramers are interested in seeing. Instagram added advertisements in the last year but what seems to be more powerful are the Instagram endorsements from those who have a lot of followers and photos receive thousands of likes. The days of standard commercial endorsements definitely aren’t over but your basic Instagram post endorsing a product and using the hashtags has become quite common. 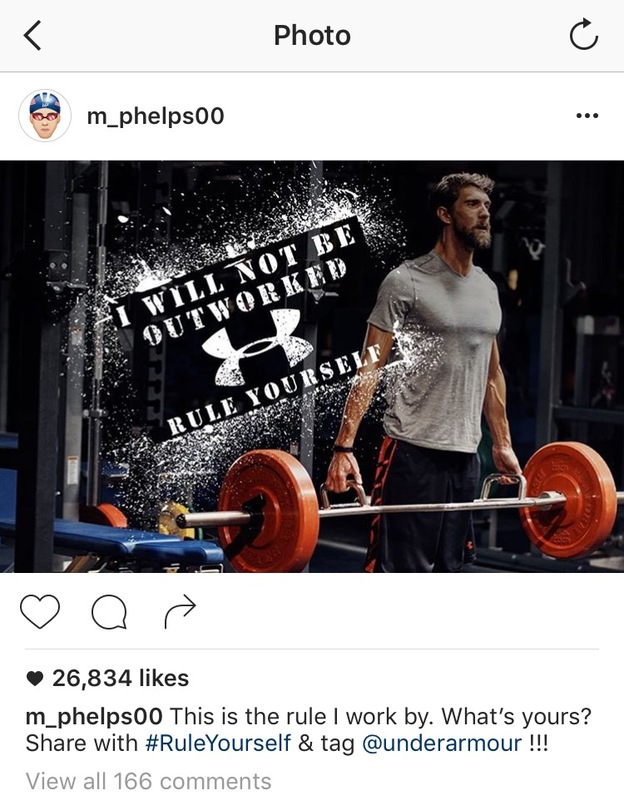 During the freestyle swim relays announcers showed swimmer Michael Phelps’ family and told viewers to follow his Instagram account, I easily found it and scrolled through multiple endorsement posts. Phelps and pretty much any figure with a solid Intragram following makes a great candidate to sell products to users. In this case, viewers saw Phelps win a gold metal, his family live on TV, and then his posts of both his family, Olympics, training, and his endorsements. In addition to our ability to use social media to watch the Olympics (plus review clips on Youtube, which I didn’t focus on above), broadcasting networks are also making the competitions more mobile accessible. Strictly looking at the two NBC Olympics apps I downloaded, it’s easier than ever to watch the Olympics on the move and even after competitions have ended. I don’t think there is anything on TV that I can’t get on my phone. The difference being, I can share certain content and my reactions on social media. Back in 2012, there was an expected 4.9 billion TV viewers, this year there are 3.6 billion expected TV viewers but the growth of smartphones and our ability to live stream certainly is impacting our viewership to be the most in Olympic history. Beyond our connection to the athletes, the important thing to remember about social media is that we are connecting with each other. We share, we respond, and unite in real time while history is being made. Of course, with all the eyeballs on these screens, advertisers are connecting with us too! Over the next few weeks as you watch the Olympics and participate yourselves, note how much has changed and how your phones are the single platform connecting you to athletes, fans, and advertisers.